Texas Bluebonnets cover Texas fields with a blanket of blue in Spring. 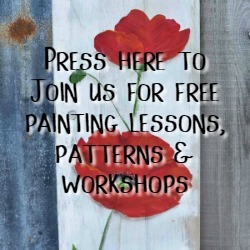 Learn to paint these beautiful flowers and create your own Spring anytime. 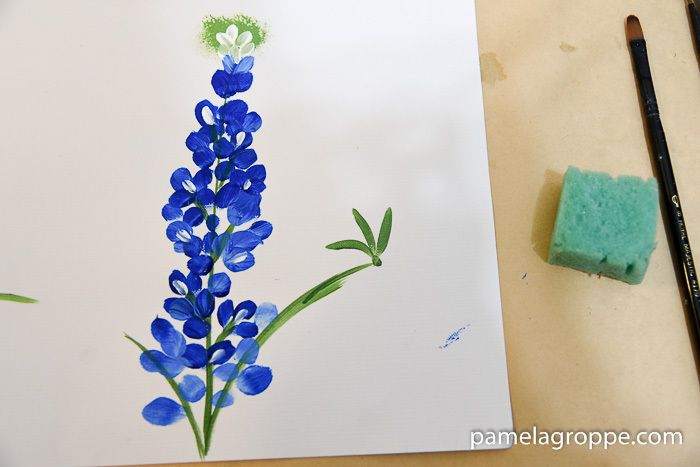 How to paint Texas Bluebonnets was a special request from a reader and I am so happy she asked. This was so fun for me to do and I hope you all enjoy it too! A supply list is available at the end of this post. I am using watercolor paper for this demo. Start with a flat brush double loaded with your greens on the chisel edge and pull up to create the main stem. Fill in more buds as needed. Remember, less is more, so start with a few, step back look at your flower and add where needed. Adding is easy, subtracting is more difficult. Remember, no two flowers look the same so embrace diversity in your flower painting. Rinse your filbert brush clean. Load it with Wicker White. 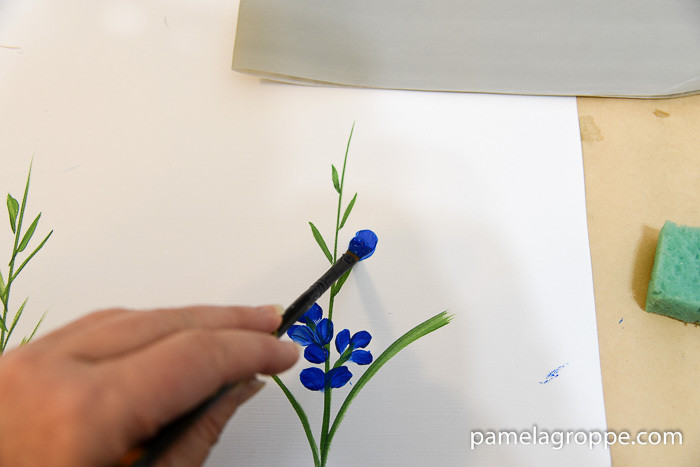 With the side of the brush add white strokes to your blue buds and at the top. Here I had put a background of green so the white top would show up. Make the white tip a bit more conical than I show here, to get it truer to a bluebonnet. 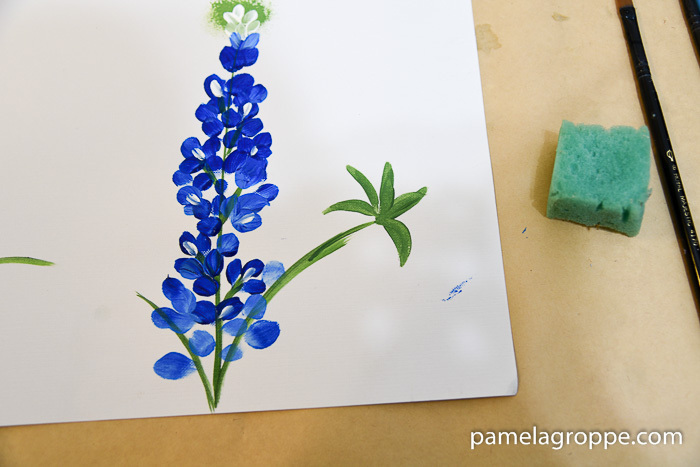 Bluebonnet leaves are star shaped. 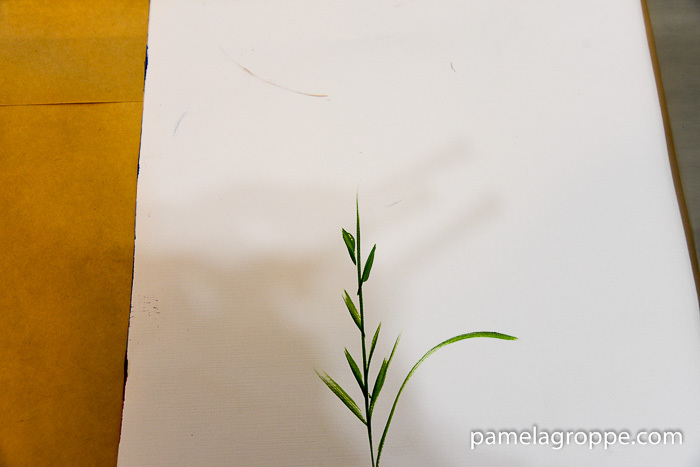 Using brush of choice (I used a flat brush but you can certainly use your filbert if you like) double load with your greens, pull chisel strokes towards a dot you place on the end of the stem for a aiming point. You can thicken the strokes as you see fit once you have the basic chisel strokes done. You can add more leaves to the other side if you wish. 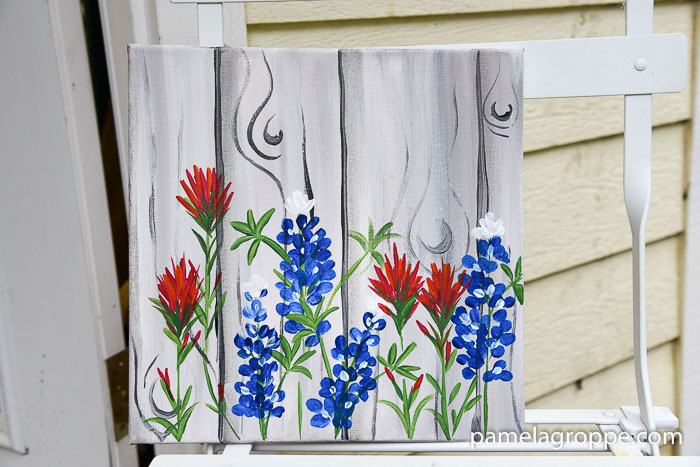 I have also done a tutorial for the Indian Paintbrush and will add that here very soon, so please subscribe to get the latest tutorials emailed right to you as soon as they are posted! I love all of your posts, and in particular, your painting lessons. 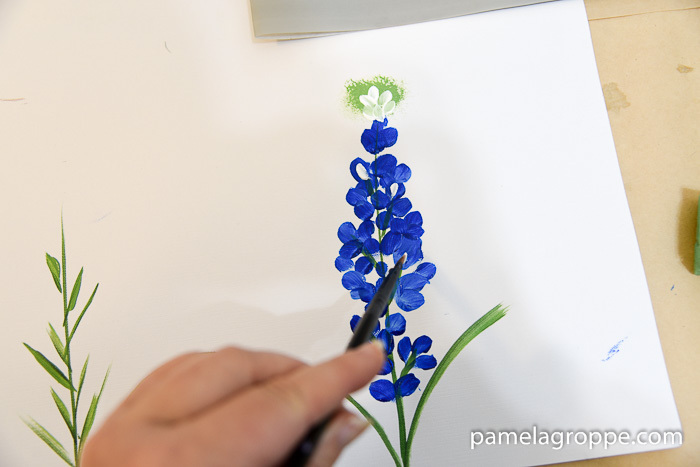 I just wanted to let you know that your bluebonnets were so realistic, that I could recognise them as lupins, which is how we know them here in Australia. Keep up the lessons please. 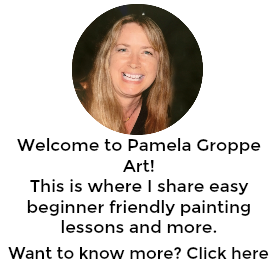 Pam, do you do any watercolor painting? ‘m trying to find someone to teach beginning watercolor….